Q-Dir is a freeware file management tool. It can be used as an alternative to the Windows Explorer file manager that we are all familiar with. 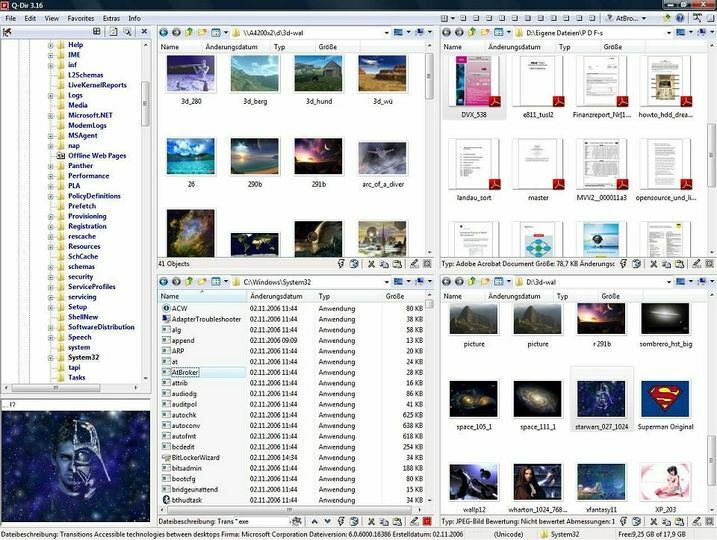 Q-Dir will add some extra features and advanced functionality to your work with files and folders on your hard drives. It features a relatively simple quad-pane user interface, making it easy to work with multiple files and to carry out simple operations such as file copying. It still retains the context menus that are available in Explorer. Folders can be opened in tabs, just like with Web Browsers. Q-Dir will work on any version of Windows up to Windows 8.